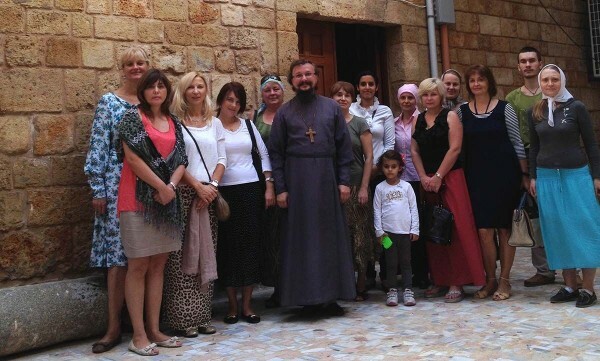 On October 18, 2014, the parishioners of the Beirut Representation of the Russian Orthodox Church, led by the rector Hegumen Arseny, representative of the Patriarch of Moscow and All Russia to the Patriarch of Antioch and All the East, made a trip to Tyre in southern Lebanon. With the blessing of Metropolitan Elias of Tyre and Sidon, Patriarchate of Antioch, Father Arseny celebrated the Divine Liturgy at the church of St. Thomas in the historic center of the city. The service was attended by the faithful from Tyre, Sidon, Beirut and Balamand, the website of the ROC Beirut Representation reports. After the service the visitors took a walk along the seacoast.